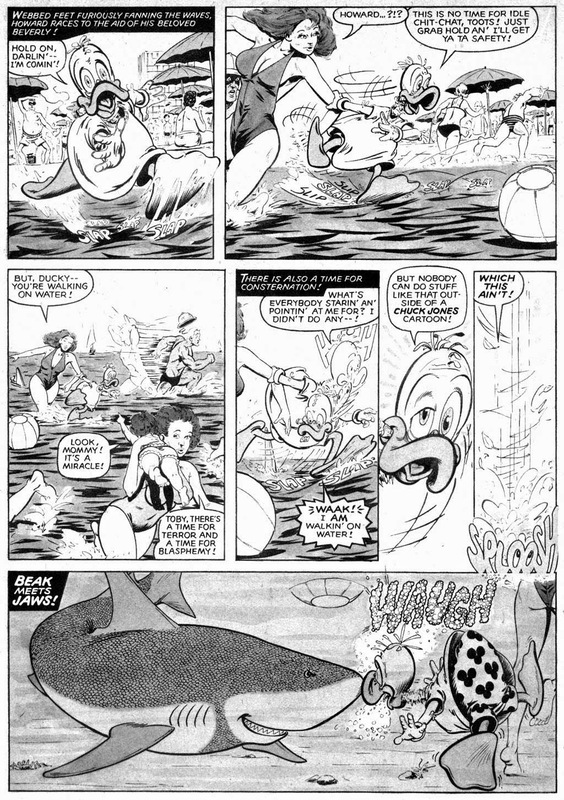 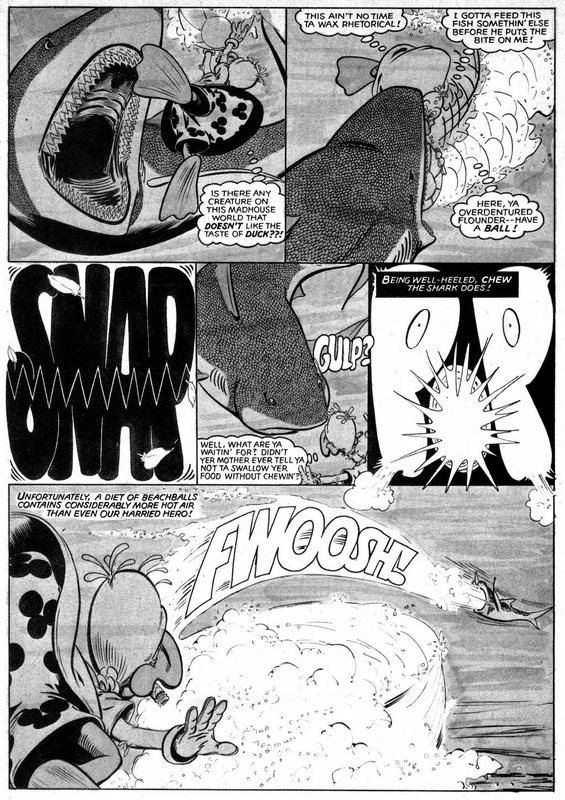 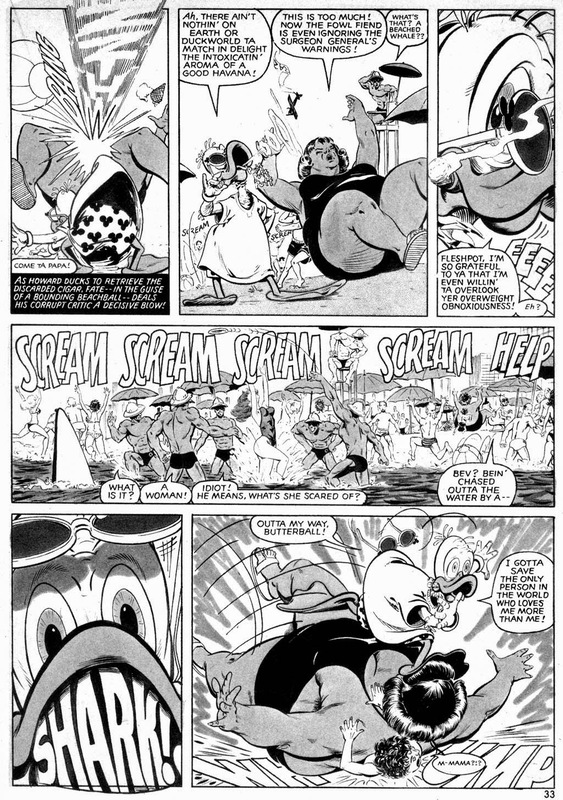 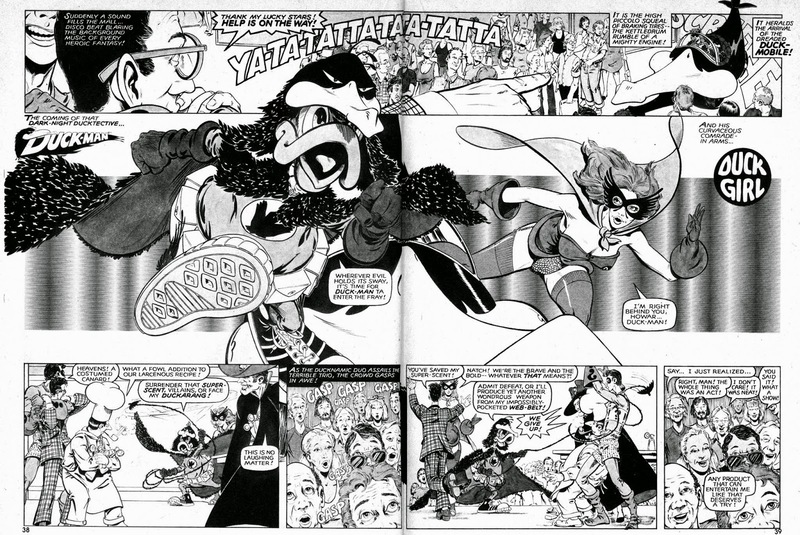 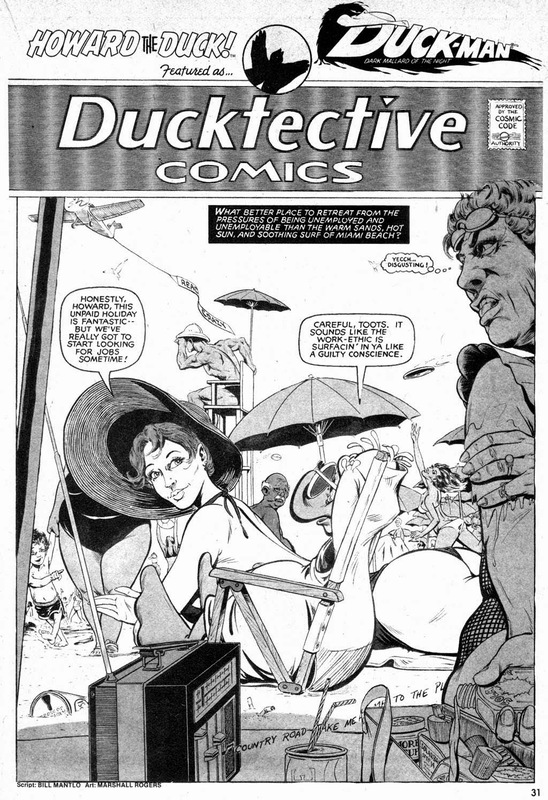 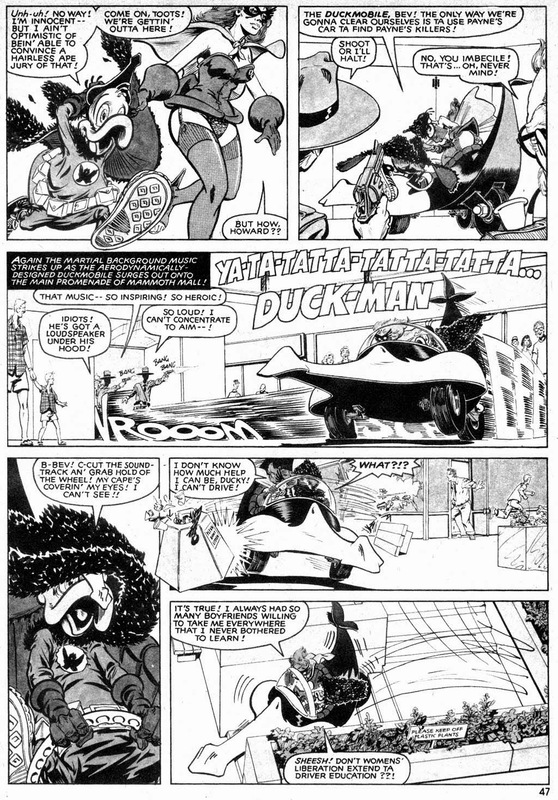 Even though the only Howard The Duck stories that really count are the ones written by Steve Gerber, you have to admit the Steve-less b/w Howard mag was a pretty good shot at continuing the character. 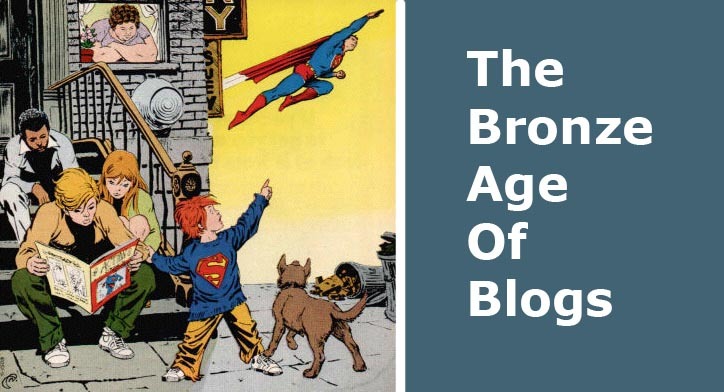 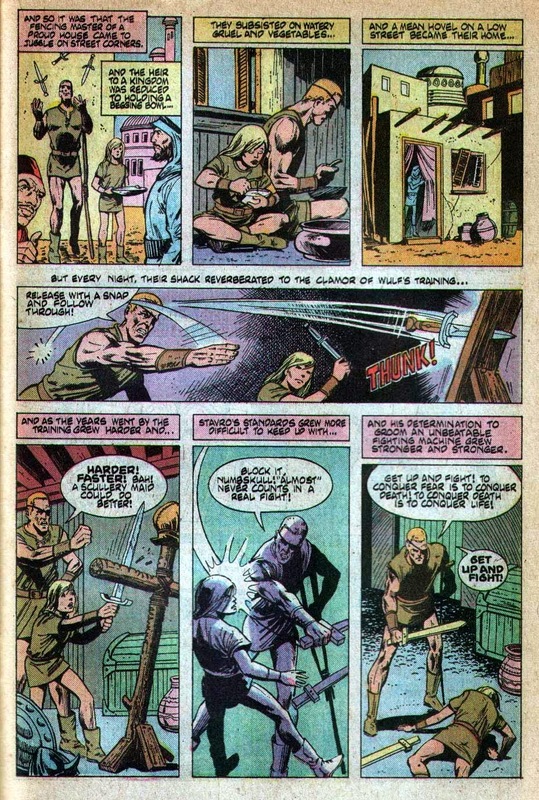 Bill Mantlo did his best, contributing a Gerber-lite version of Howard & Bev, and even though he didn't mean it in the same way Steve obviously did, there's still a lot of fun to be had here. 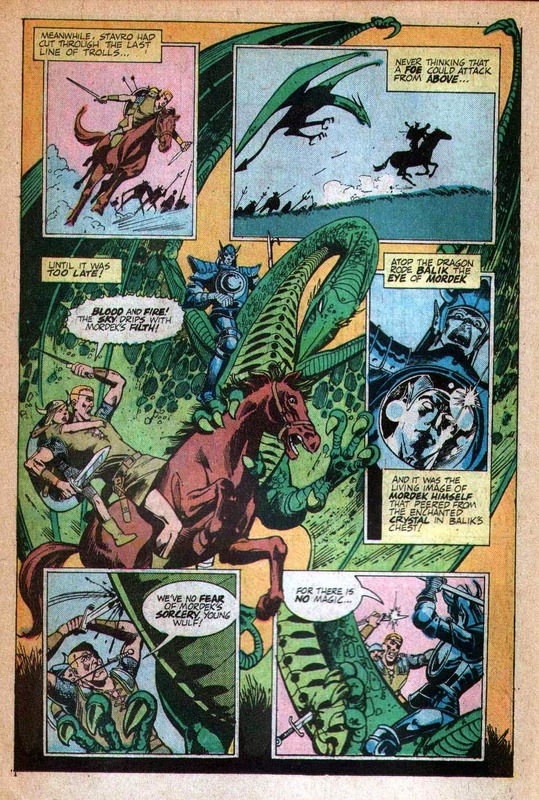 Gene Colan was still on board for most of the stories, and there were guest slots like a couple of fantastic Michael Golden pieces, and this, one of the best things Marshall Rogers ever did. 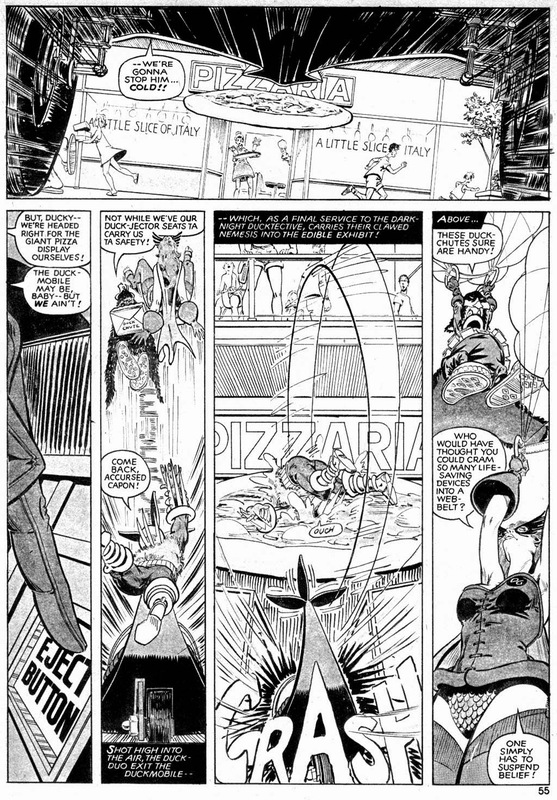 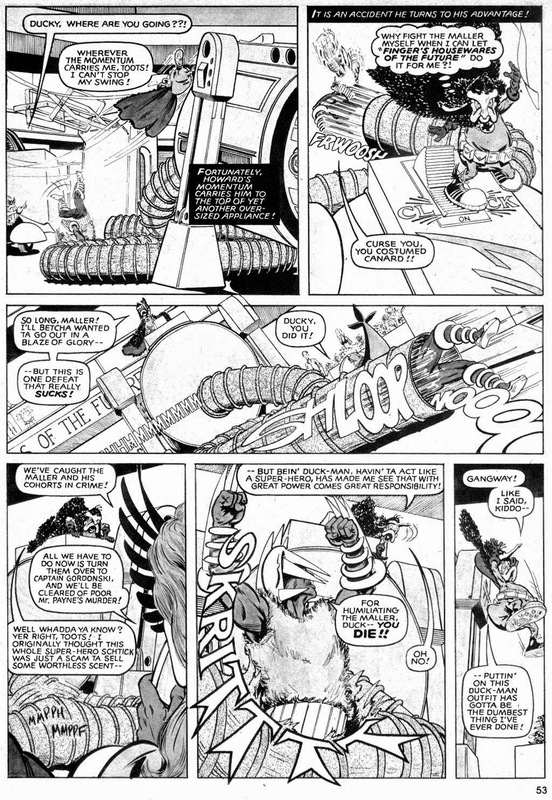 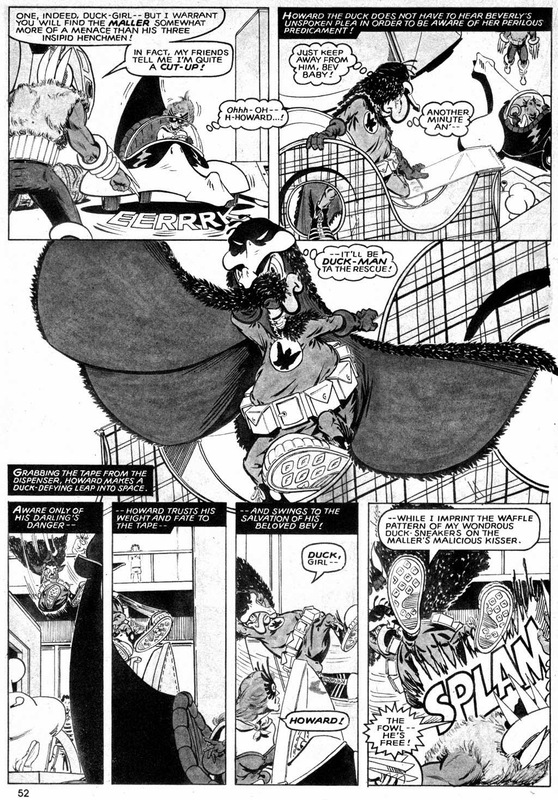 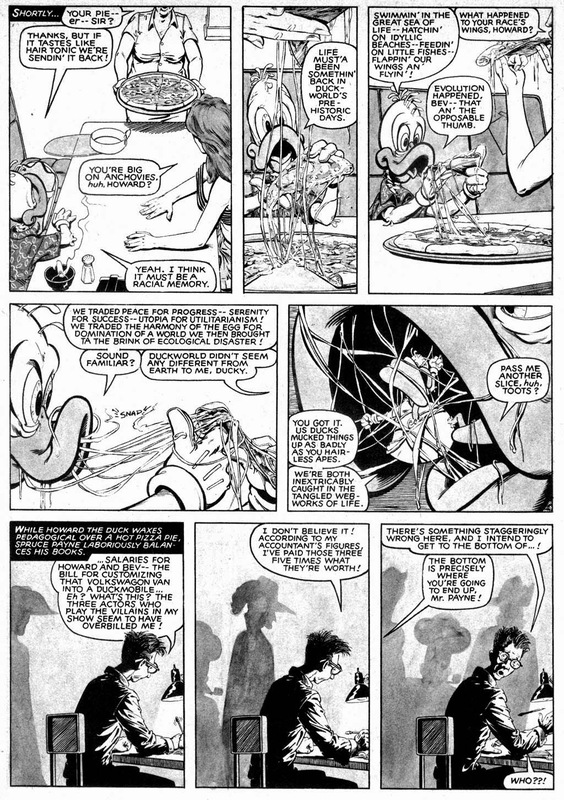 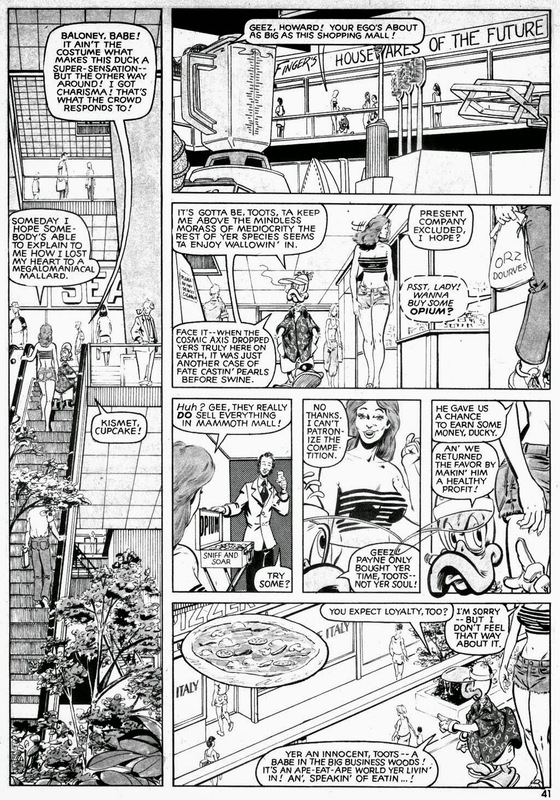 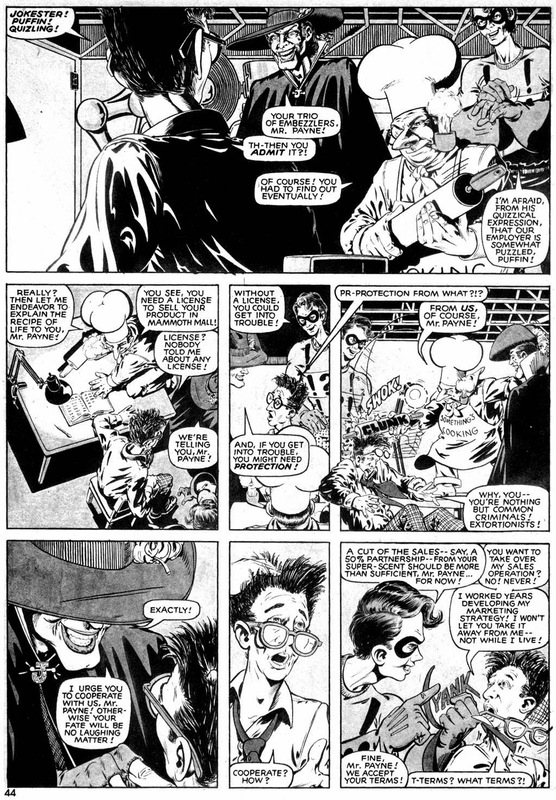 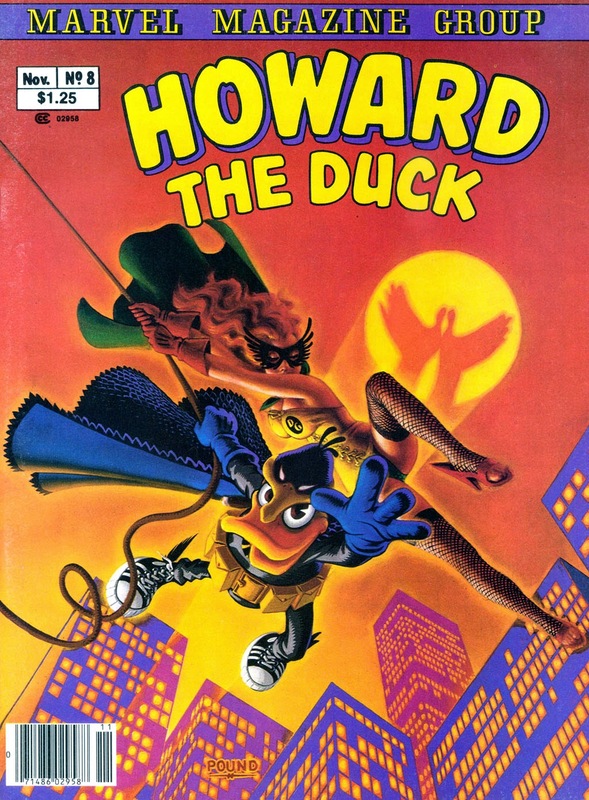 Howard eating pizza by Marshall is worth the price of admission alone, but his wry take on the classic Batman run he'd done with Steve Englehart just a couple of years before makes this more than a little bit special, even if it is by necessity a more de-clawed duck than we'd been used to. 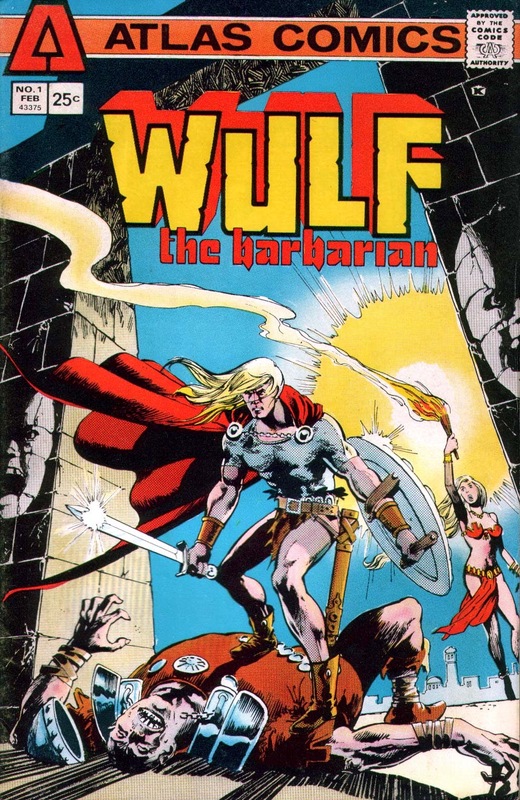 Now, see, I liked Wulf The Barbarian, and don't feel it's fair to lump him in with his labelmate, the dreadful Ironjaw. 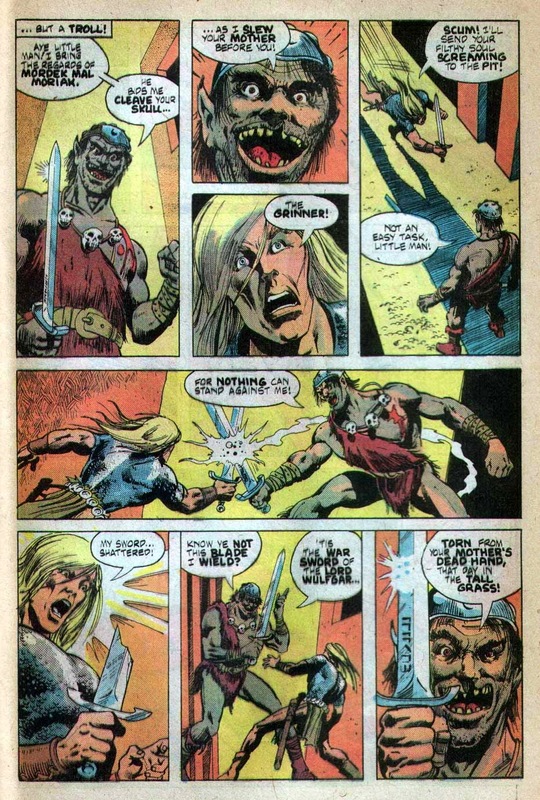 Unlike ol' Metal Mouth, but like The Destructor and The Grim Ghost, I always thought that Atlas' other barbarian hero could've been a contender. 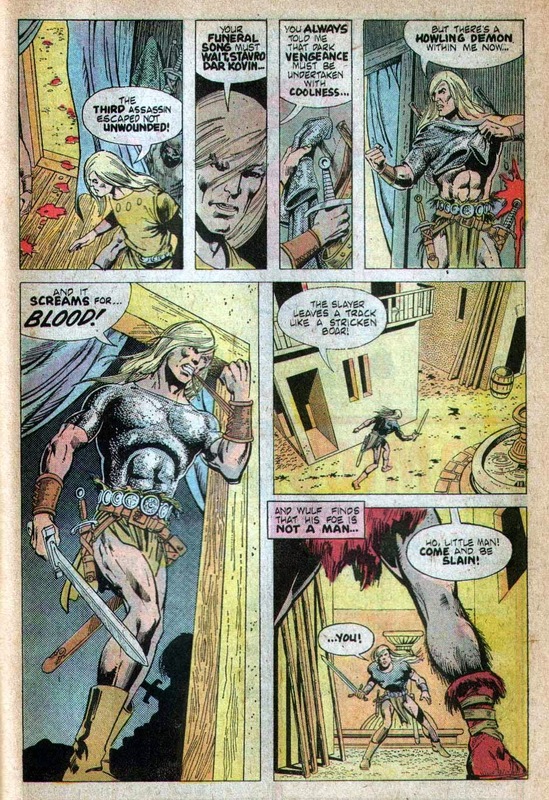 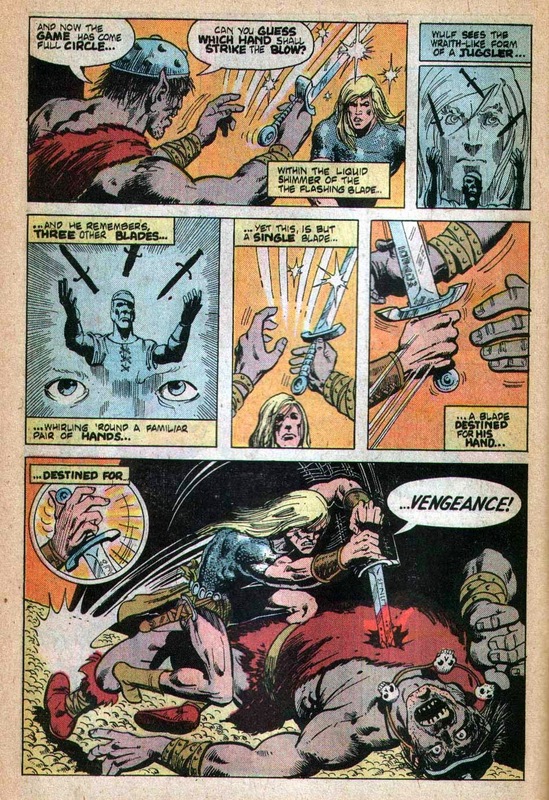 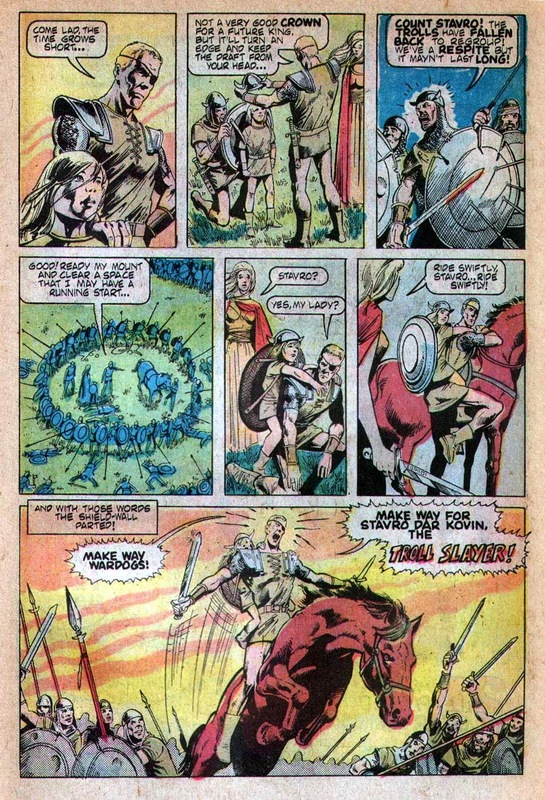 He's not a complete Conan rip-off, like DC's Claw The Unconquered, and there were glimmers of originality here, considering this is a Sword & Sorcery title we're talking about. 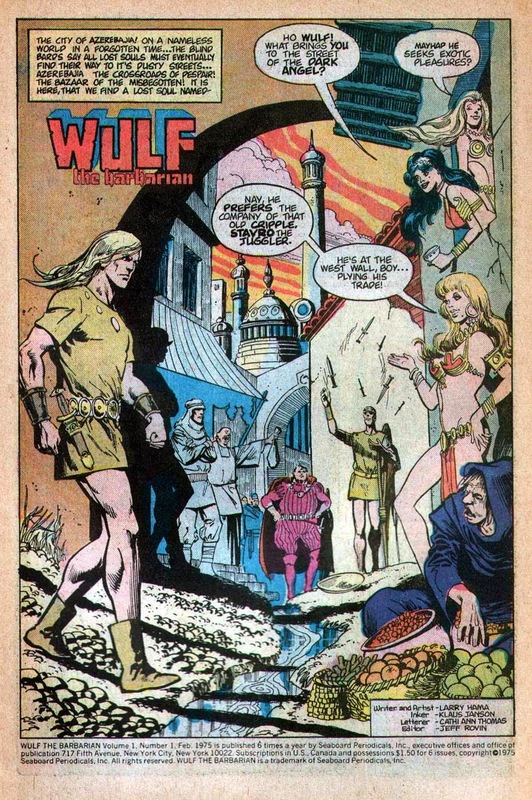 I liked the fact that it took place on ' A planet the size of which is beyond mortal comprehension ', I like the brief looks at the rest of the world Wulf travels through, I like his mentor Stavro Dar Kovin and the fact that Wulf spends his origin issue as a street pauper, and I love Larry Hama and Klaus Janson's artwork. 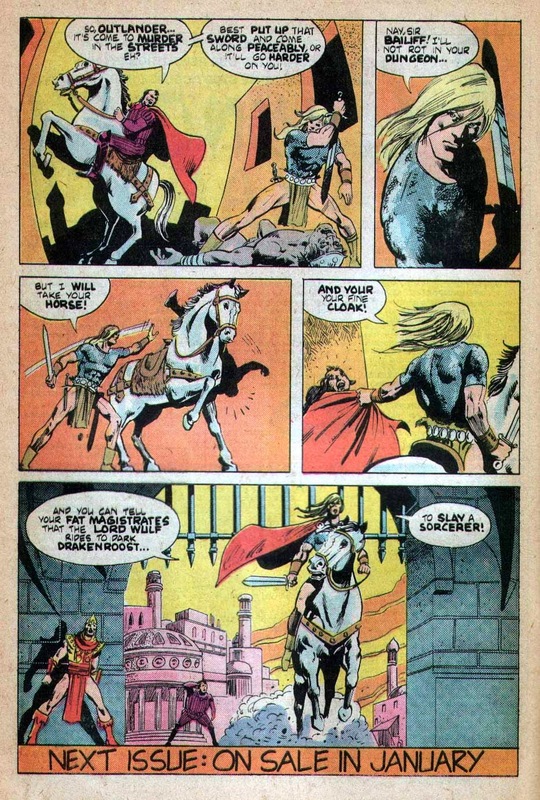 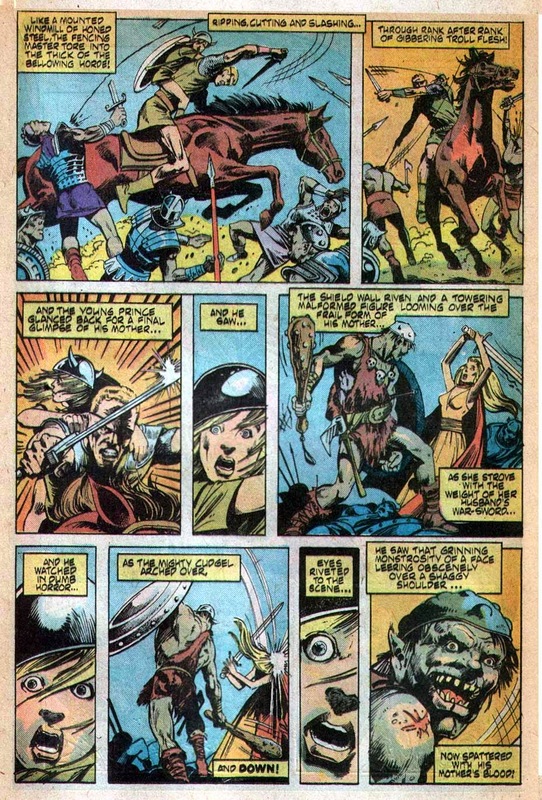 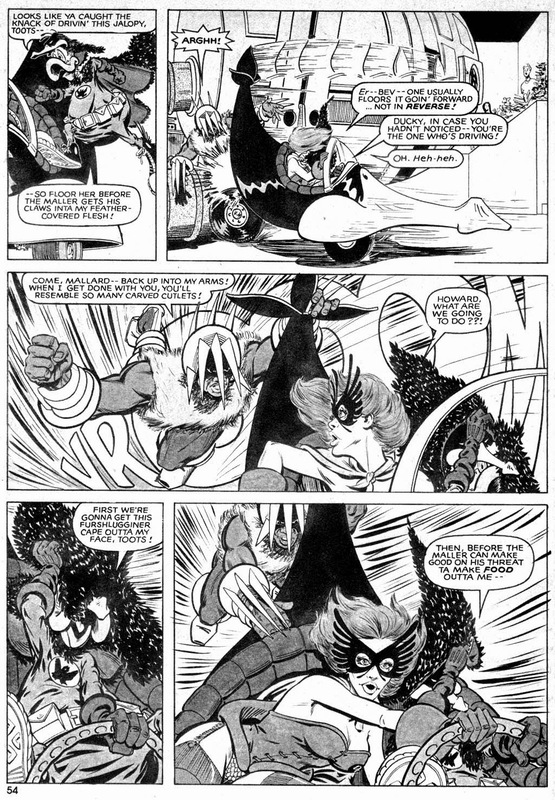 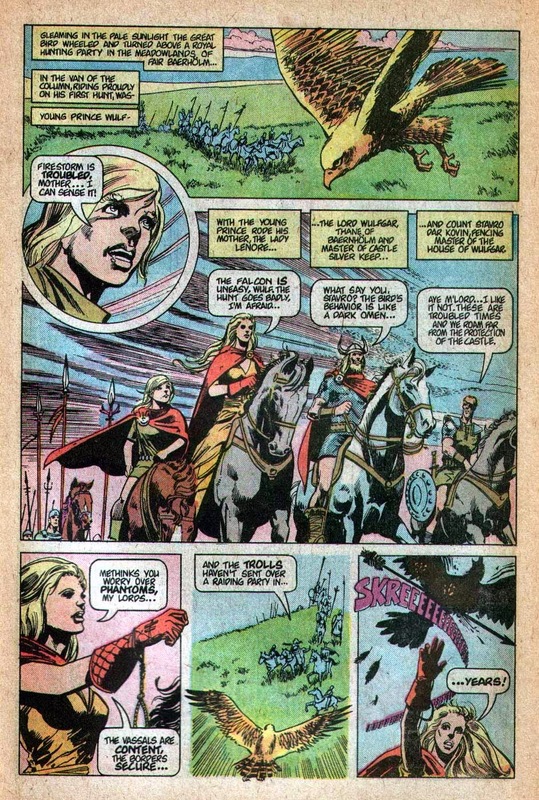 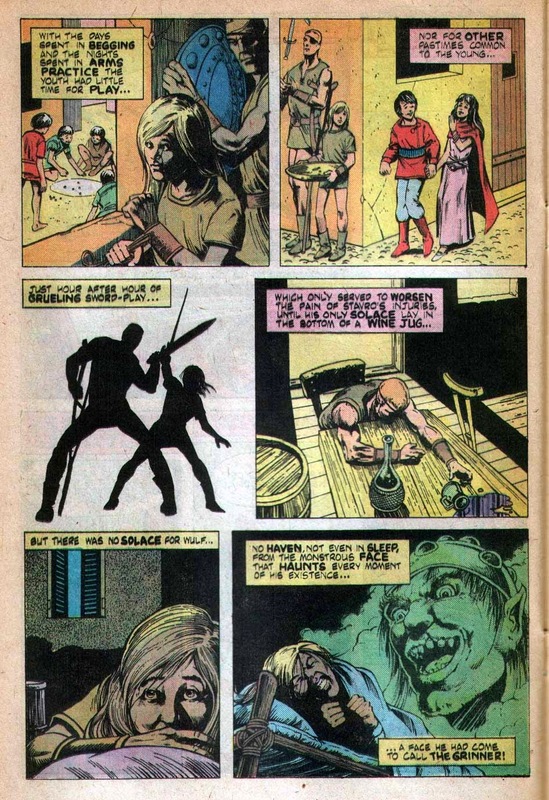 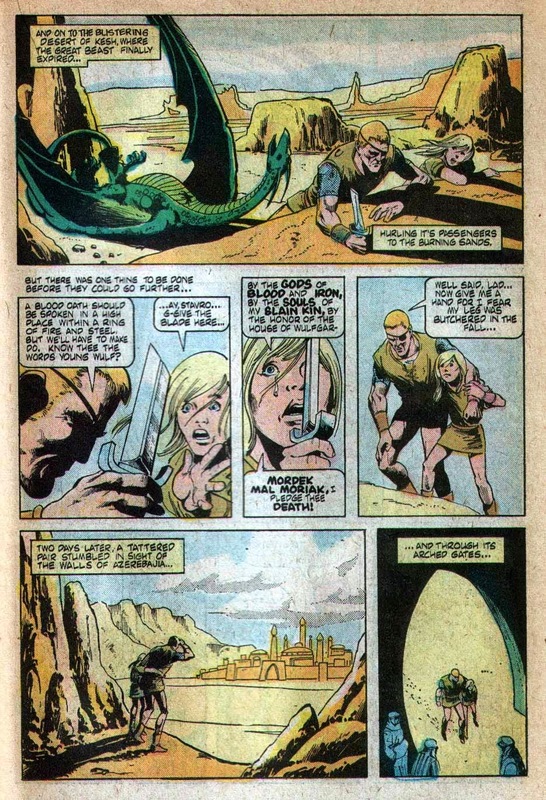 Again, unlike Claw, Hama doesn't just look to Robert E. Howard for inspiration, but there's elements of Tolkein and, in the second issue, even Fritz Leiber if you squint. 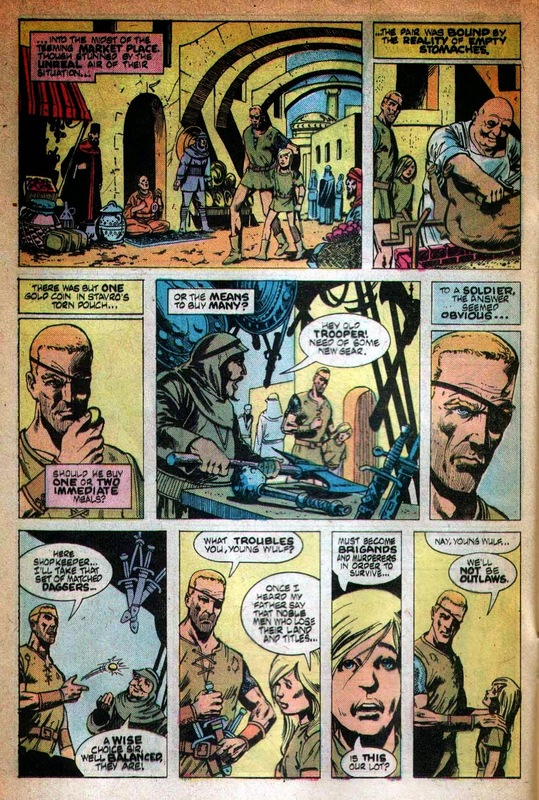 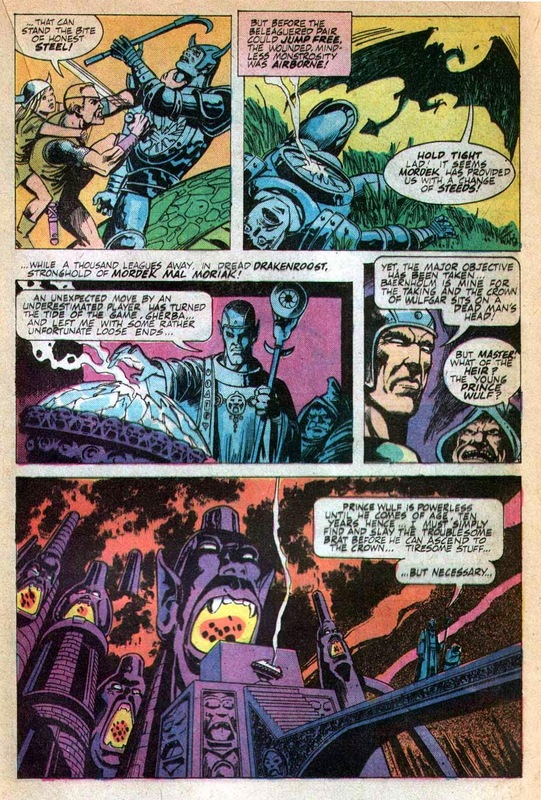 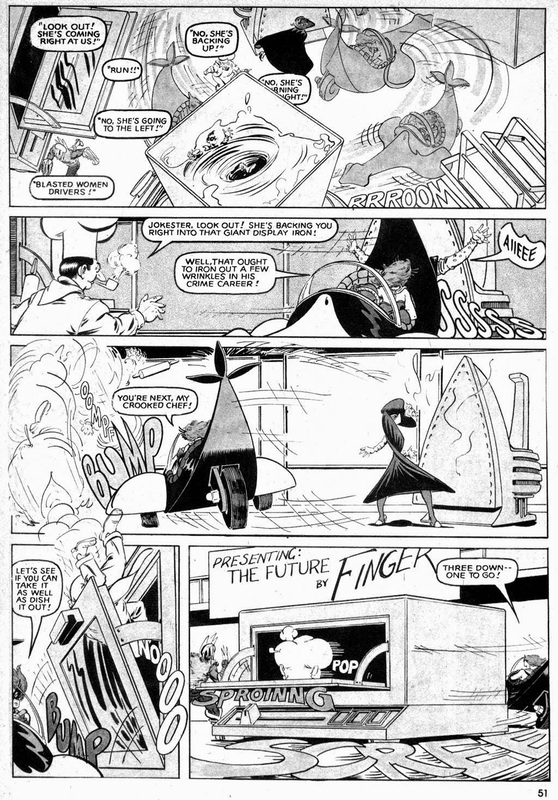 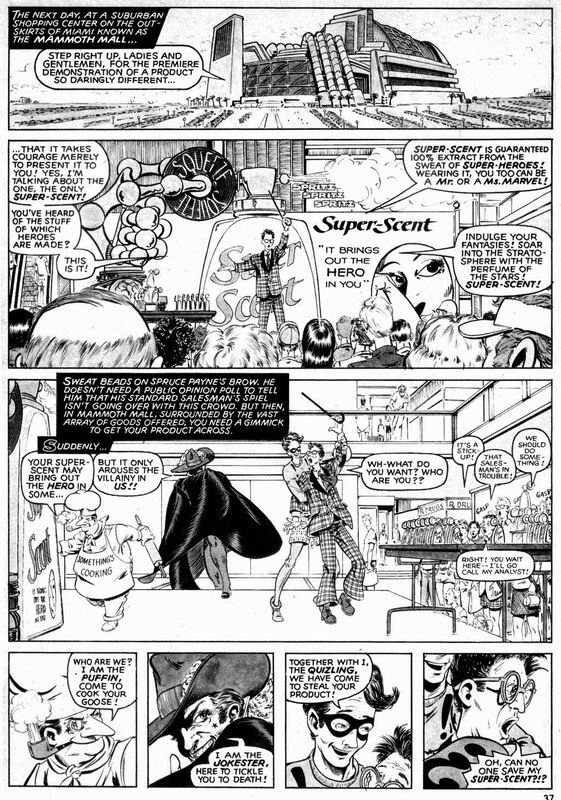 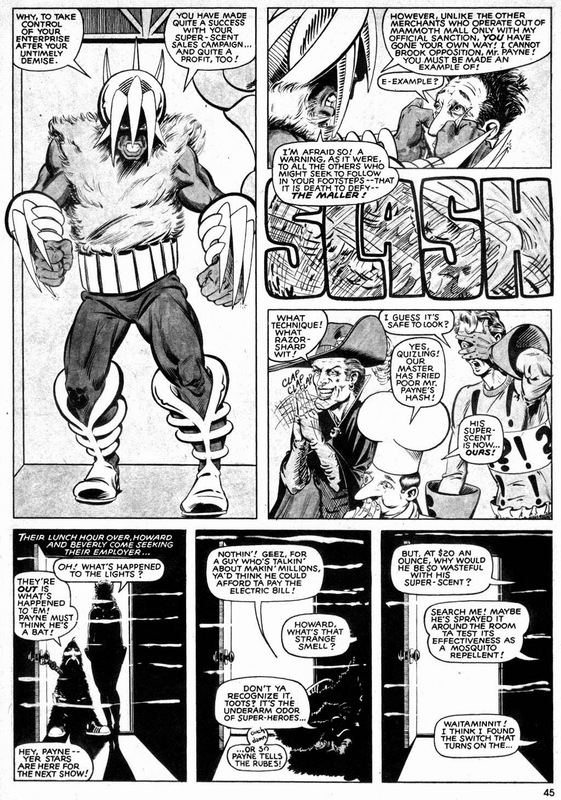 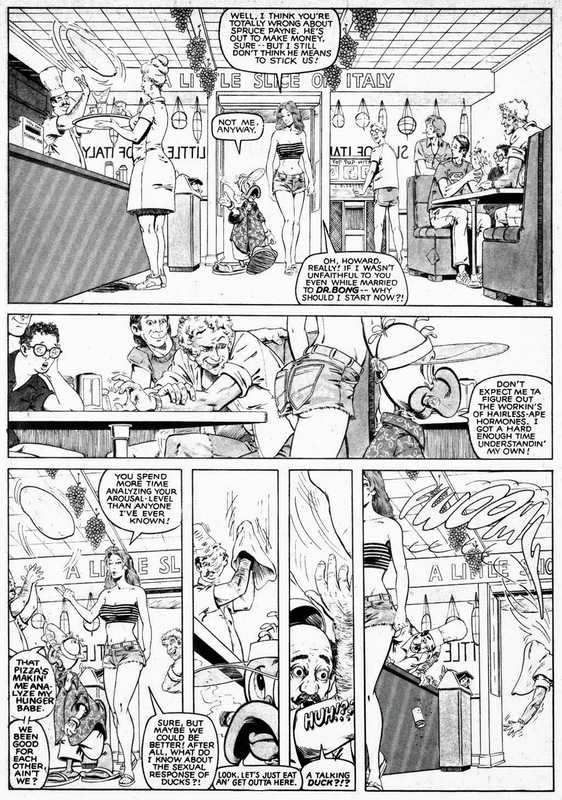 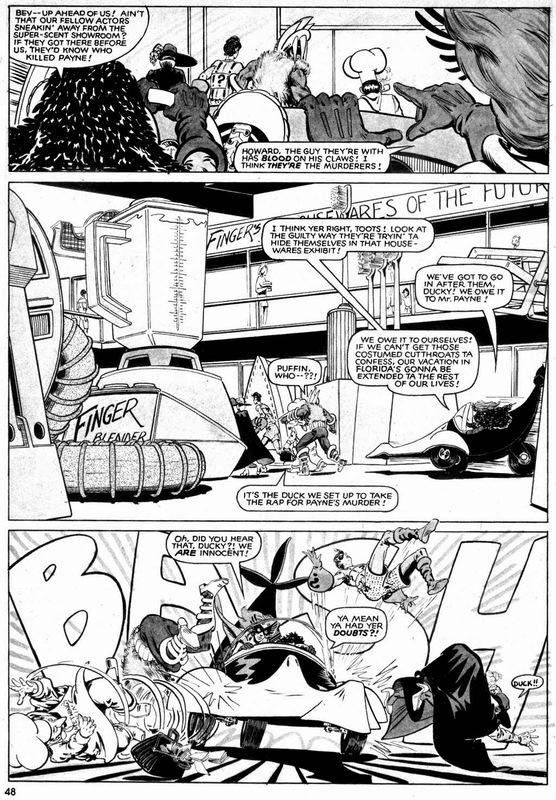 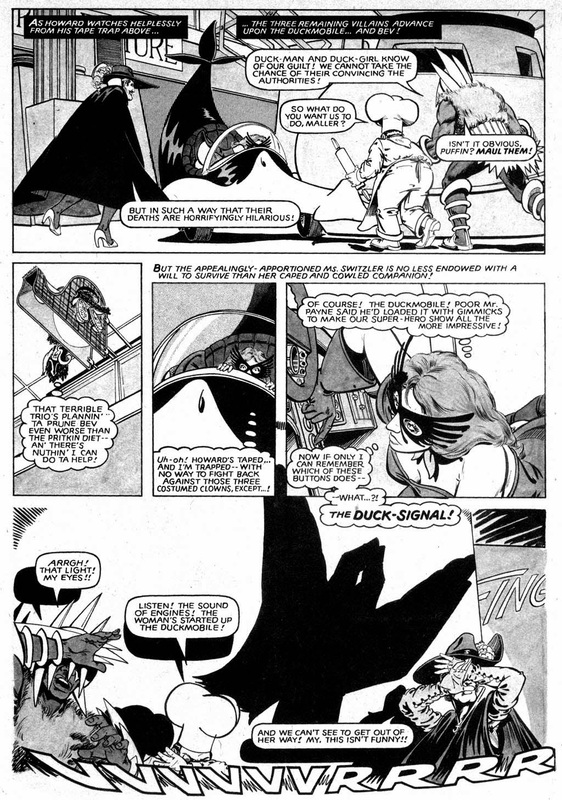 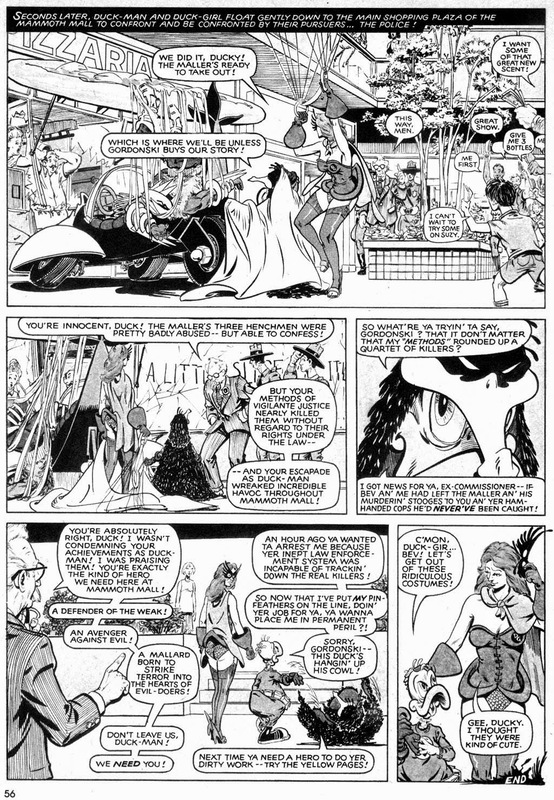 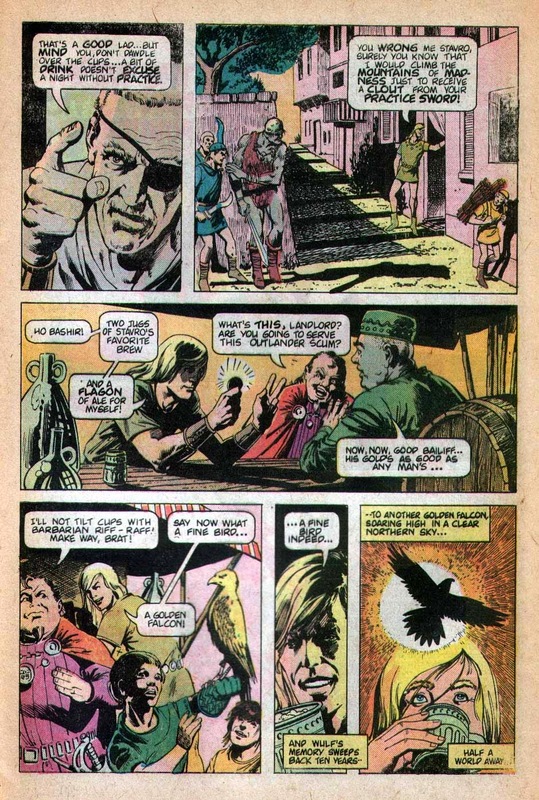 A View From Without was first published in a semi-underground called Phase in 1971, published by Hot Stuf's Sal Quartuccio, then picked up by Roy Thomas for the first issue of Unknown Worlds Of Science Fiction. 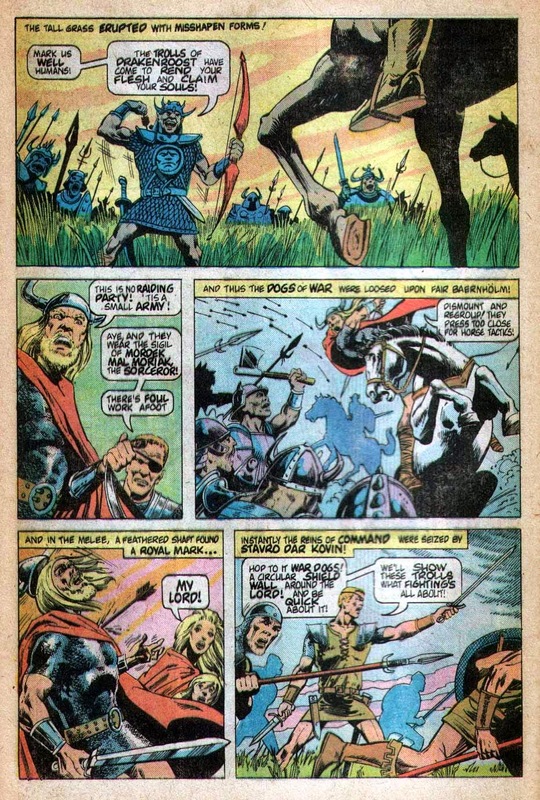 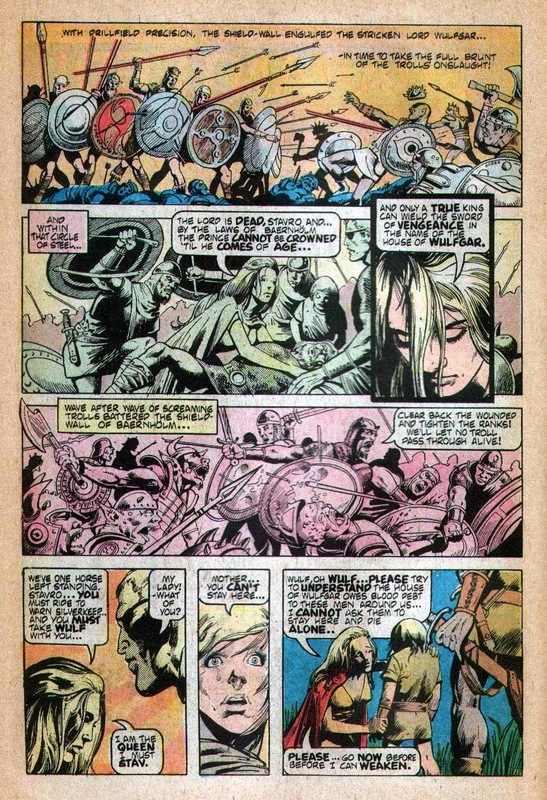 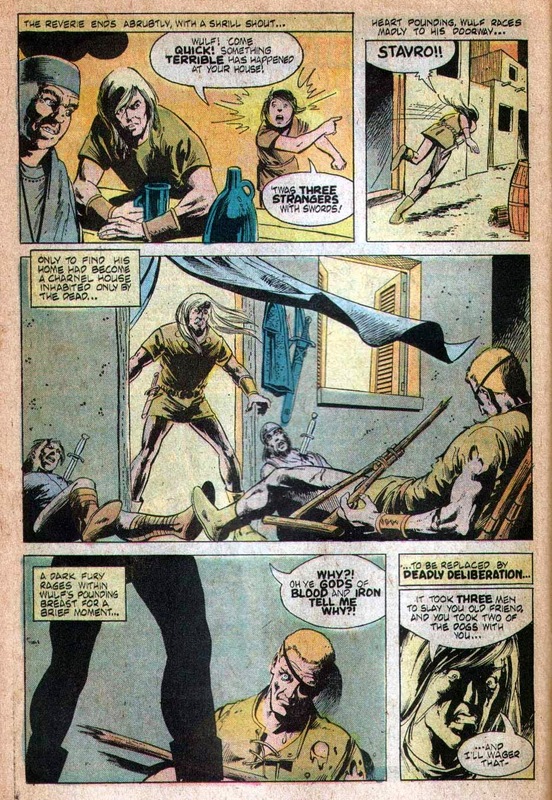 It's Bronze Age Neal Adams at the peak of his powers, and as statement on the Vietnam war ( then still ongoing ), it's incredibly visceral and maybe a little bit shrill, depending on your taste. 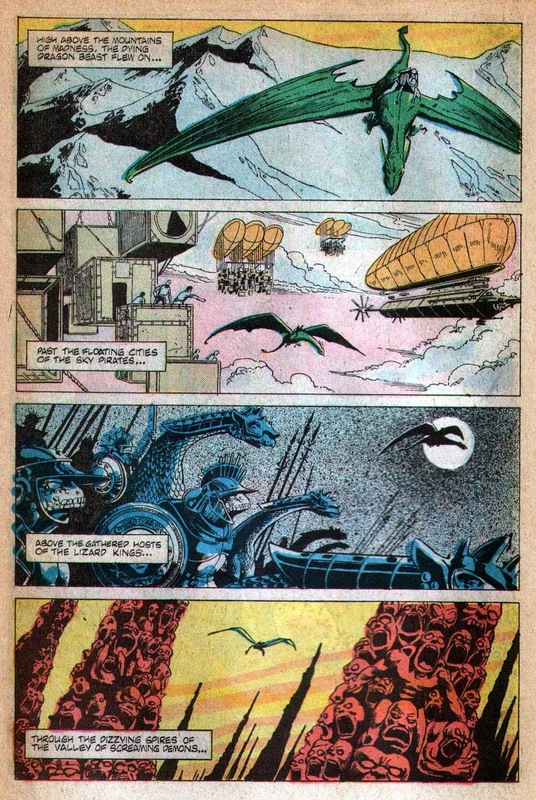 But looked at purely as technique, it's pretty mind blowing ( which was, of course, the point ). 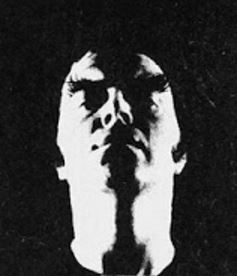 And Neal as the alien looks like he's stepped out of La Jetee.